If you think 4K just doesn’t have enough pixels, then Sharp may have the answer to your prayers; next month, the company will start selling what is said to be the world’s first production 8K TV in Japan – at a bargain price of $133,000. The 85-inch LV-85001 offers up a resolution of 7680 x 4320, or 104 pixels per inch, making it eight times the resolution of a standard HD TV. The screen will utilize Sharp’s IGZO (indium gallium zinc oxide) backplane and a number of other technologies by the company. It's claimed that the TV's contrast ratio is 100,000:1 and that it has a viewing angle of 176 degrees. 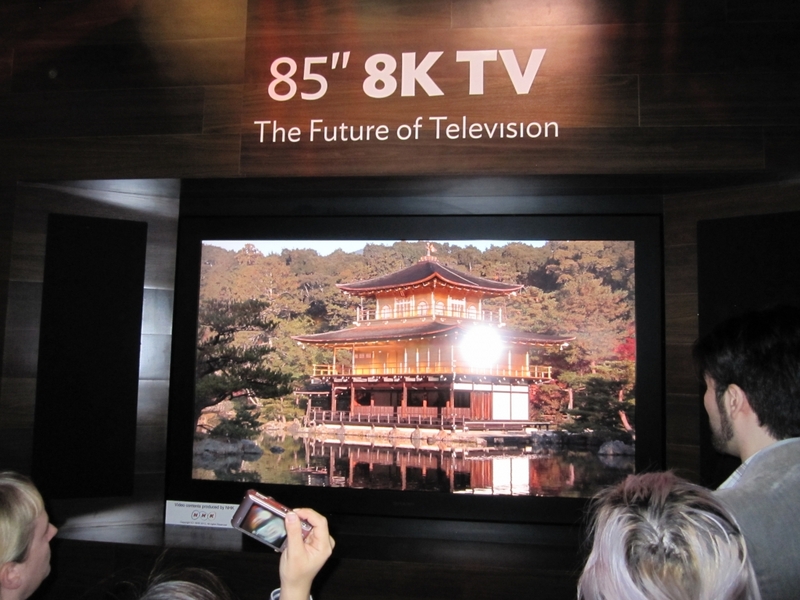 One issue that anyone who buys this TV will face is that there’s no actual 8K content being broadcast at the moment. The LV-85001 does have a TV tuner built in, but the first 8K broadcast tests aren’t schedule to begin in Japan until next year. Japanese broadcaster NHK will be conducting the 8K tests, and it says it hopes to have the service up and running in time for the Tokyo 2020 Olympics. Sharp says the TV will be available to business customers from October 31st, following a demonstration at the CEATEC trade show next month. In order to watch 8K video on the TV, the source needs to be connected through all four HDMI 2.0 inputs at once. With 4K content still in its infancy, we’re likely a long, long way off 8K becoming a widely used resolution. Hopefully when (or if) 8K does becomes more widespread, any TVs that can display the resolution will no longer cost the same as a sports car.